Following two days of cycling (Port Hawkesbury – Antigonish: 60km, Antigonish – New Glasgow: 74km) we will arrive at our 3rd Nova Scotia venue, The Celtic Circle Cultural Centre of New Glasgow. 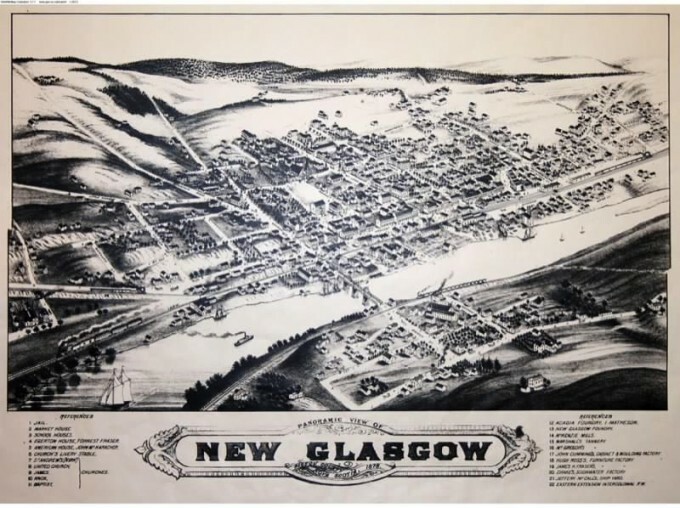 The tree-lined streets of New Glasgow reveal impressive Victorian architecture with many beautifully crafted buildings and homes made of sandstone and brick. The Celtic Circle, built in 1896 and originally home to The First United Baptist Church, has retained its Victorian roots while also being refurbished into a 200-seat performing arts centre. It is also home to several art studios and galleries where the works of local artists and artisans are regularly on display, making The Celtic Circle the major artistic hub of the community. New Glaswegians – don’t miss this rare opportunity to see the Bicycle Opera Project in action!